Last year, Nigeria’s Vice President, Prof. Yemi Osinbajo accused officials of the Nigeria Customs Service (NCS) of not coming to office on time for examination of cargoes thereby frustrating the ease of doing business policy of the federal government. Speaking at a public lecture on the ease of doing business with the theme: “The Gains and Challenges of the Presidential Order on Ease of Doing Business in the Nigerian Maritime Sector One Year After” organised in Lagos, Osinbajo had said the Police and Customs have become stumbling blocks to the order. Osinbajo, who was represented by an official in the Presidential Environmental Business Enabling Council (PEBEC), Mr. John Oboh, agreed that there were challenges in carrying out the presidential order on ease of doing business, identifying some customs operatives and the Police as not helping matters. He criticised the Customs for incessant interception of goods cleared at the ports, saying it is against international best practices. According to him, there is no reason why operatives of the Customs should be stopping containers on the way, particularly within few meters after the port gate for another round of checks. Also last year, the Minister of Transportation, Rotimi Amaechi accused the NCS of frustrating the National Single Window(NSW) project meant to hasten cargo clearance process at the nation’s ports. The NSW is a platform meant to integrate all agencies involved in the clearance of cargoes at the ports with view to ease the inspection calculation and payment of all import duties, levies and other charges on line. Amaechi had made the accusation during the inauguration of the Command, Control, Communications and Intelligence System, a marine operation and surveillance centre, at the Nigerian Ports Authority (NPA) in Lagos. Speaking to representatives of the Controller General of the NCS, he had said: “Please the Comptroller General of Customs has to agree and the Customs, need to be connected to the NSW to make our ports more effective. All we are doing now is manual; it will not last for long. “Very soon Nigerians will protest against the seaports. People are already importing through Benin republic. Everyone has a single window. Niger who used to import things through Nigeria is doing so through another country. This is because we are charging both official and unofficial charges. With the above damming accusations by top government officials, one would have expected a change or reform in the manner in which the NCS carries out its duties. That has not been the case. As it is customary with most government agencies, the NCS has since the accusations become worse with allegations of aiding smuggling and killing of innocent Nigerians flying in the face of the service. While authorities at the service has made effort to deny some of these allegations, the recent threat by clearing agents to shutdown the ports over multiple customs checkpoints at the port show that the current customs authorities do not care as long as revenue target is reached. The threat by the clearing agents is coming few weeks after importers and manufacturers of chemical substances in the country accused the NCS of abuse of End User Certificate, clearing agents have raised the alarm over slow evacuation of cargoes from Apapa port due to the activities of customs officers. 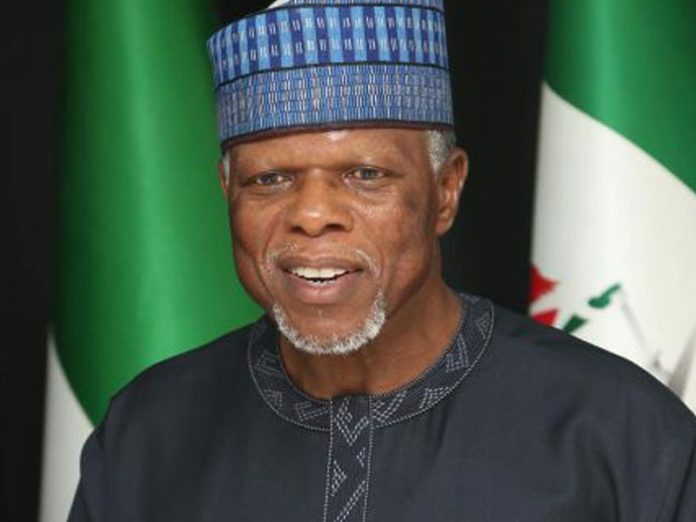 Last week, angry freight forwarders operating in the Western Zone issued a 72- hour ultimatum to the federal government to call the Comptroller General of the NCS, Col Hameed Ali (rtd.) to order and address the multiplication of Customs task forces at the ports. The customs agents threatened that if the situation is not reversed, the freight forwarders in the western zone will withdraw their services. At a joint press briefing in Lagos, various associations which include: the Association of Nigeria Licensed Customs Agents (ANLCA), National Association of Government Approved Freight Forwarders (NAGAFF) and National Council of Managing Directors of Licensed Customs Agents (NCMDLCA), lamented that the customs boss had allegedly deployed a team from Abuja to checkmate activities of the various commands. The freight forwarders identified 10 various units of customs constituting bottlenecks inside the port, some of them, they disclosed, include: CG Strike force, compliance team, Federal Operations Unit, Monitoring, Special Force, CG Task Force, Information Team, Customs Police. Speaking at the meeting, Tin Can Chapter Chairman of ANLCA, Segun Oduntan said the CG committee was sent to Apapa port under the guise of inspecting some third party containers. He, however, said that the team has taken over the job of resident customs officers. He claimed that cargoes were now being detained inside the ports while agents were made to pay exorbitant demurrage to terminal operators. He stressed that 24 -hour cargo clearance is now a mirage as a result of this anomaly. Also speaking, Western Zone Coordinator of NAGAFF, Alhaji Tanko Ibrahim said that agents have complained to the customs area controllers who appeared powerless and subsequently directed the operators to channel their complaints to the CG in Abuja. Tanko alleged that, “Last week, we saw officers from Abuja who said they were sent to the terminals to inspect some third party containers. But since then, they have remained permanent inside the port. On his part, Chairman of Tin Can chapter of NAGAFF, Azubuike Ekweozor lamented the activities of shipping companies and terminal operators in addition to the excesses of Customs. In the same vein, Apapa Chapter Chairman of NAGAFF, Ndubuisi Uzoegbo urged the customs CG to build trust in his officers on the field. He also said that freight forwarders should be carried along by the customs whenever they make policies affecting their operations. 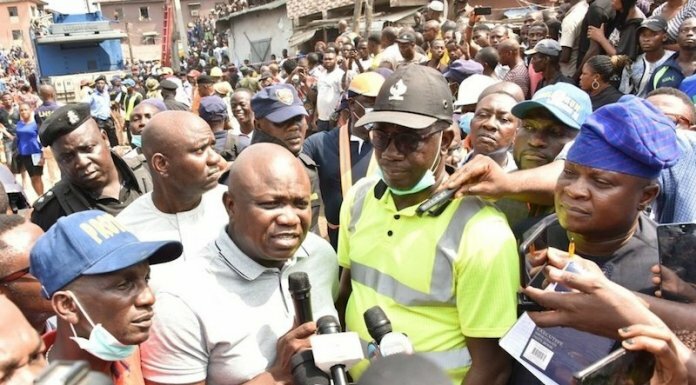 He said: “Many containers have been abandoned in Apapa because of high tariffs and demurrage from Shipping companies and terminal operators, most offices in Apapa today are empty, shipping companies have forced many of our colleagues back to the village. Before the clearing agent’s ultimatum, importers and manufacturers of chemical substances in the country had recently accused the NCS of abuse of End User Certificate leading to a loss of over N200 million monthly to demurrage on imported chemicals for paint and some pharmaceutical products. An End-user certificate is a document used in international transfers, including sales and arms provided as aid, of weapons and ammunition to certify that the buyer is the final recipient of the materials, and is not planning on transferring the materials to another party. An importer who does not want his name mentioned for fear of persecution told THISDAY that prior to obtaining Form M for importation of these chemicals, they are not informed that the products require end user certificate. “Nobody told us that Glycerine, a non- explosive chemical has been included upon obtaining Form M. It was when we got to the bank to make payment for our goods to be cleared that we were told the customs has refused to generate PAAR because the chemical is now requires end user certificate,” he said. An official of Resin Manufacturers Association of Nigeria (MAN), whose members are majorly affected by this development told THISDAY that they have complained to the Manufacturers Association of who has promised to look into the matter. When contacted, Public Relations Officer of the NCS, Joseph Attah told THISDAY that the end user certificate does not emanate from the NCS. When asked on the abuse of the requirement on by custom officials, he said importers should insist on clearance from the office of the NSA before making any payments. Late last year, clearing agents operating at the Apapa Port accused the Apapa Command of the NCS of lateness to examination of cargoes. The Apapa chapter Chairman of the National Council of Managing Directors of Licensed Customs Agents (NCMDLCA), Emeka Enwelu, said that examination of cargoes at Apapa has gone down from 300 to 200 containers per day due to the officers’ attitude to work. Enwelu further stated that because of the delay experienced, clearing agents find it difficult to examine and release goods the same day. He said that agents are forced to return the following day for the release of their consignments, thereby causing increase in storage charges. “If customs conducts examination and write the report, we can get our cargoes, but when they start late they find it difficult to write the report because the whole day has already been wasted. “If they start by 12noon, they can never cover up. They used to do 300 containers but now it is less than 200 containers per day because of the three-hour delay by customs examination officers,”he said. Another clearing agent, Chijioke Ebuka, however, urged the federal government to ensure that customs adhere strictly to the implementation of the executive order. He also stated that delay experienced at the examination bays affect the number of cargoes released daily. Meanwhile, the Command Public Relations Officer of the command, Nkiru Nwala, refuted the claims, stating that for the avoidance of doubts, the examination bays are not owned by the customs but the terminal operators, just as there are other federal agencies involved in the cargo examination process. Specifically, she said: “As the custodians of the examination bays, the terminal operators position the cargo for inspection and notifies the customs, which in turn informs other relevant agencies to assemble for examination. Nwala explained that there are many terminals in the Apapa Port Complex, wondering how the agents came about the statistics being bandied about that released containers dropped from about 300 to 200 allegedly because customs officials do not arrive early for inspection.